Renowned as the land of fire and ice, Iceland is a majestic country. With 130 active and inactive volcanoes and 11% of the land being covered in ice with 269 named glaciers, the name land of fire and ice is perfectly apt for the stunning country. The country is brimming with pure, raw natural beauty. Active volcanoes, wondrous waterfalls, stunning scenery, views of the magical Aurora Borealis, lakes, snow-capped mountains, lava fields, spouting geysers, fjords, thermal springs, rivers and glacial ice are just a few of the natural wonders of Iceland. The country is steeped in history and a myriad of natural wonders. Located in Vatnajokull National Park which is a protected wilderness area in the south of Iceland is Jökulsárlón lagoon. Sitting at the edge of Breiðamerkurjökull glacier the enormous ice lagoon is filled with gigantic icebergs that have broken off of the Breiðamerkurjökull glacier. The icebergs floating in the lagoon are like nature's own art ice sculptures. Each iceberg is unique, all different sizes and colours some being a beautiful icy blue which is stunning against the stark white. Thanks to stunning surrounding views and the magnificent icebergs that seem to glow, the lagoon sparks an atmosphere of magic and highlights the beauty and power of nature. Leaving visitors speechless thanks to the breathtaking views, the lagoon is a must-see location if visiting Iceland. The lagoon showcases the change in Icelandic nature and the effect of global warming on our world. The lagoon did not exist until around 1935 and since then has grown in size due to melting Icelandic glaciers. It is now the deepest natural lake in Iceland. Tides from the sea bring sea water into the lagoon. As such the lagoon is a mix of fresh and sea water where there are fish and seals swim from the sea into the lagoon to rest on the icebergs. Boat tours are available on the lagoon in summer and during winter crystal ice cave tours start at Jökulsárlón. 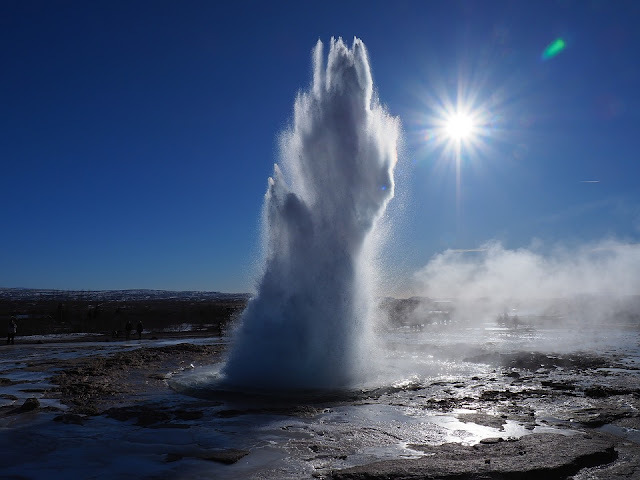 The English word geyser comes from the Icelandic word Geiser which means gusher. As Iceland has many active volcanoes the volcanic activities beneath the surface create underground springs and thermal pools that provide streamy eruptions. With so many active volcanoes in the country there are also many geysers too. To see a mighty hot stream of water shooting from the ground is an exciting, breathtaking experience. Thankfully as there are many geysers in the country the opportunity to see one is plentiful. The dormant Great Geiser which is part of the famous Golden Circle Tour is located in the southwestern area of Iceland in Haukadalur valley. The surrounding area is geothermically very active with many hot springs and geysers. A very active geyser and popular attraction sight in the area is Strokkur. This reliable geyser is loved by visitors as it erupts every 10 or so in a powerful gush of scorching water. There are many waterfalls in Iceland. Two of my favourite are Skógafoss and Gullfoss waterfalls. Skógafoss is a mighty waterfall with about 60 metres of powerful cascading water that has descended from the Eyjafjöll mountain range, home to the notorious Eyjafjallajökull volcano. The waterfall produces lots of spray and on sunny days it is common to see rainbows. There is an observation desk above the waterfall. 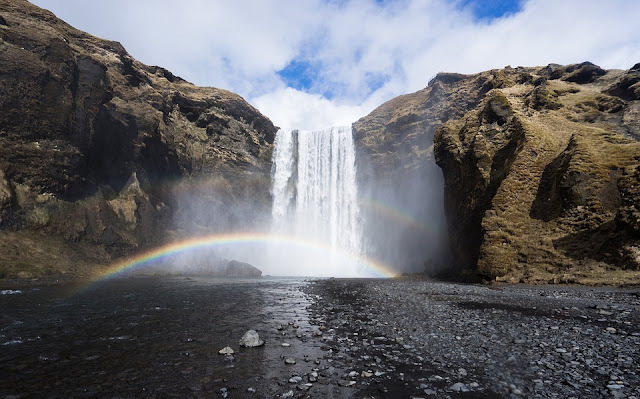 Skógafoss is a impressive sight and is in beautiful surroundings with other sights to see in the area such as the Skóga river, smaller waterfalls in the surrounding country, and the popular Eyjafjallajökull volcano. Other locations close by are Sólheimasandur plane wreck, Dyrhólaey and Reynisfjara Black sand beach and Seljavallalaug swimming pool. Gullfoss, known as the Golden Fall in English, is a monumental, impressive waterfall located on the Hvítá river in the Gullfossgjúfur canyon that is popular with visitors to the country. Unlike Skógafoss waterfall you can only observe Gullfoss from viewpoints above. The unusual 2 level waterfall is created when the river river Hvítá plunges down a 32 metre drop set in a narrow 70 metre deep, 2.5 kilometre long canyon. Unique, spectacular and picture perfect; Diamond Beach is a truly memorable location. If you travel around the island it is worth a visit to this unique beach. It is right next to Iceland’s Ring Road number 1 and is located in the southeast of Iceland. As well as being within walking distance to Jökulsárlón glacier lagoon which is just across the road it is within driving distance to Fjallsárlón glacier lagoon. 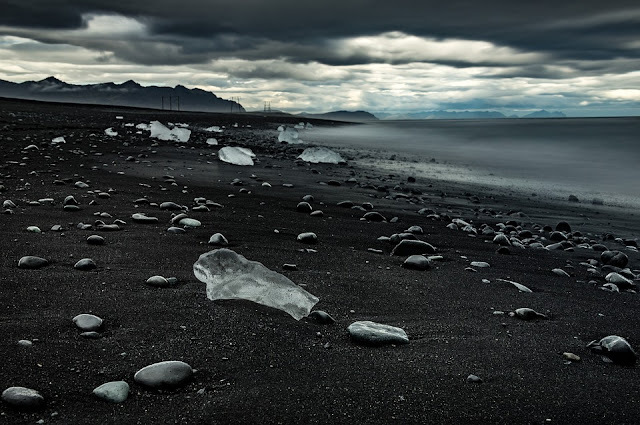 The stunning black sand beach is home to a beautiful array of washed up ice boulders. 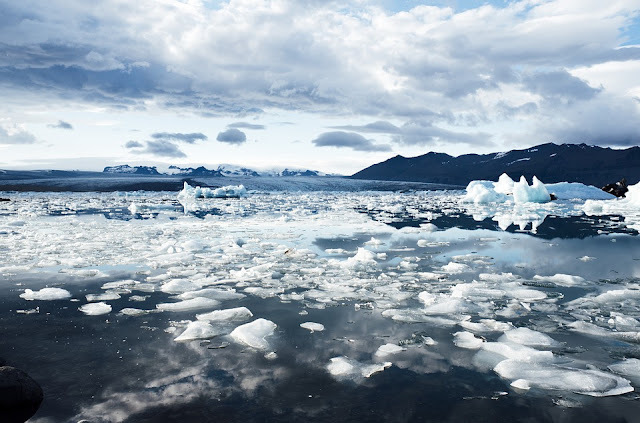 Icebergs from the remarkable Jökulsárlón lagoon drift out to sea where the powerful sea water chips off chunks of ice from the icebergs and polishes them into beautiful ice boulders which then get washed up on Diamond beach when the tide comes in. The end result is a stunning view of shining ice boulders laying on the black sand beach. The ice boulders are all one-of-a-kind. Each beautiful ice boulder glistening on the black beach creates a spectacular vista of ice ‘diamonds’, giving the unique beach it’s name. The ice boulders sparkling in the sun is a dream for photographers, as such it is one of Iceland’s most popular beaches. The ice diamonds can be seen all year round but on warmer days they are smaller and there can be less of them. The beauty of the beach is that each day the ice boulders will be different; some new, some gone, some melted and now smaller. Different forms, sizes and colours of spectacular ice boulders decorate the black sand which is a stunning contrast to the blue, transparent and white ice boulders. With around 130 volcanoes, about 30 of which are active volcanoes, Iceland has many impressive volcanoes that are ancient natural wonders. Located next to the dangerous Katla volcano and north of Skógar waterfall in the south of the country is Iceland’s most famous volcano Eyjafjallajökull Volcano. The volcano is completely covered by an ice cap. It gained its notoriety thanks to an eruption in 2010 which affected air travel across Europe. When it erupted 2 new mountains were formed from the spouting lava which were named Magni and Móði (the same names as Thor's sons have in Nordic mythology). 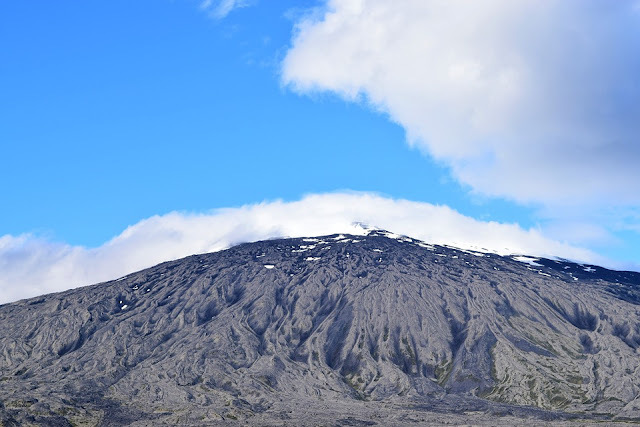 There are many more impressive volcanoes that can be seen in Iceland including the dormant Thrihnukagigur or Þríhnúkagígur volcano which is the only volcano in the entire world that people can go inside! As Iceland is a country with bountiful natural wonders these are just a few of the amazing sights that I love. A handful of other truly magnificent natural wonders in Iceland that I am awe-struck by include the following. 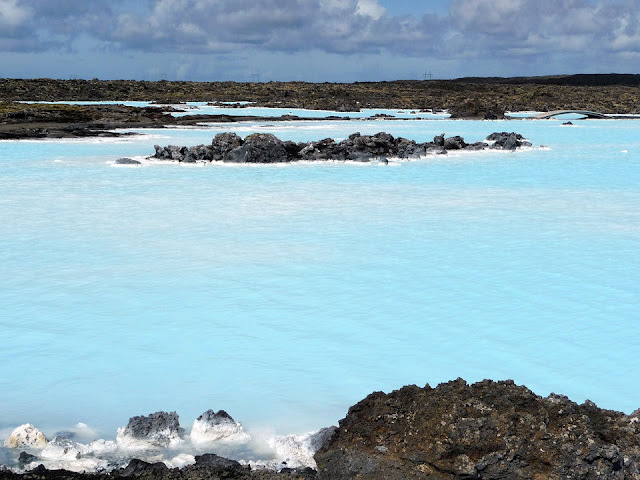 The geothermal spa of Blue Lagoon in Grindavík. Landmannalaugar with lava fields, multicoloured rhyolite mountains and the famous Hekla volcano. The majestic Kirkjufell mountain with surrounding waterfalls. Myrdalsjökull Glacier Park which is full of hot springs and volcanoes including the Maelifell volcano. And the coastal rock arch Dyrhólaey. If Iceland is on your travel bucket list and you plan on visiting the magnificent country you can find unique accommodation in Iceland to make your visit a truly magical experience. Which must-see natural wonder of Iceland would you like to visit?